All books are available now from Amazon! When the daughter of Edinburgh’s most powerful crime lord is kidnapped all hell breaks loose in the city. Determined to find her without the hindrance of the police Gus McEwan summons his most reliable men to track her down. Davy Johnson, still reeling from witnessing an horrific suicide is in no position to refuse. As the violence escalates but no ransom note emerges Davy must convince Edinburgh’s most fearsome gangsters that this isn’t about money or power, but something far more primitive. ‘A rollercoaster ride through Edinburgh’s colourful underbelly’. Introducing Scottish anti-hero Davy Johnson as he takes on the Edinburgh establishment to clear his name. Davy Johnson is a young man from an Edinburgh estate with a target on his back. After a spell in prison he is trying to make a life for himself but one cop won’t leave him alone, following him around and carting him off the station just for the fun of it. The harassment turns sinister when Davy witnesses his nemesis overstep the mark with a local junkie – and makes the mistake of telling him he’s been seen. What happens next sees Davy framed for a string of murders with no one to help him but the cronies he promised he’d turn his back on when he got out of jail – but what will they want in return? With the help of an ex con and a local cabbie Davy goes on the run to prove his innocence but as the body count rises he discovers a connection between what’s happening now and an incident involving his father many years before. Will Davy be able to work out the truth from the lie in time to save the killer’s next victim? A drive-by shooting leaves a witness in fear for her life. At first the case looks like a local turf war gone wrong, but someone in power is doing everything they can to cover the killer’s tracks. What are they trying to hide? DS Kevin Coupland, still coming to terms with his wife’s illness has a new DCI to contend with. DS Alex Moreton, due to start her maternity leave at the end of the week has a replacement DC snapping at her comfy low heels. Will the detectives unravel the tangled web of deceit in time to save a young woman who happened to be in the wrong place at the worst possible time…? A PLACE OF SAFETY is a fast paced, brutal account of struggling families, overstretched police and modern day gang culture. This is the second book of the DS Coupland Series. 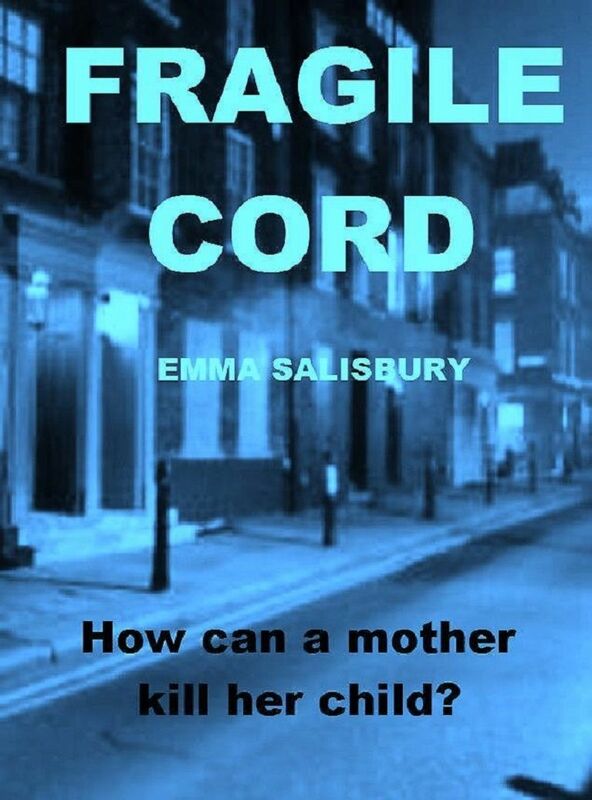 FRAGILE CORD is an emotional rollercoaster charting the psychological meltdown of a mother with a deadly secret. It is the first in the DS Coupland series. Introducing Salford detectives Kevin Coupland and Alex Moreton as they investigate what appears to be a routine murder-suicide. Tracey Kavanagh was her usual upbeat self; right up until the moment she drowned her son and tied a rope around her neck killing herself and her unborn child. For Alex Moreton, this case couldn’t have come at a worse time, battling with her partner over whether to have another child, she is superstitious about pushing their luck – they’re happy enough as they are…aren’t they? DC Kevin Coupland is dealing with a serious assault outside a wine bar in Swinton. Devoted family man Ricky Wilson is brutally stabbed following an altercation with youths while out with his wife and their children to celebrate her birthday. Coupland and Moreton’s cases collide when it transpires that Tracey and Ricky were tragically connected. Is it possible that there could be more to these two investigations than pure coincidence? Or is fate, as Coupland often finds, just having a laugh…..
Hello. Do yo have any of your books in Spanish?. Thank you so much.